Tuesday was a bad day for rackets. 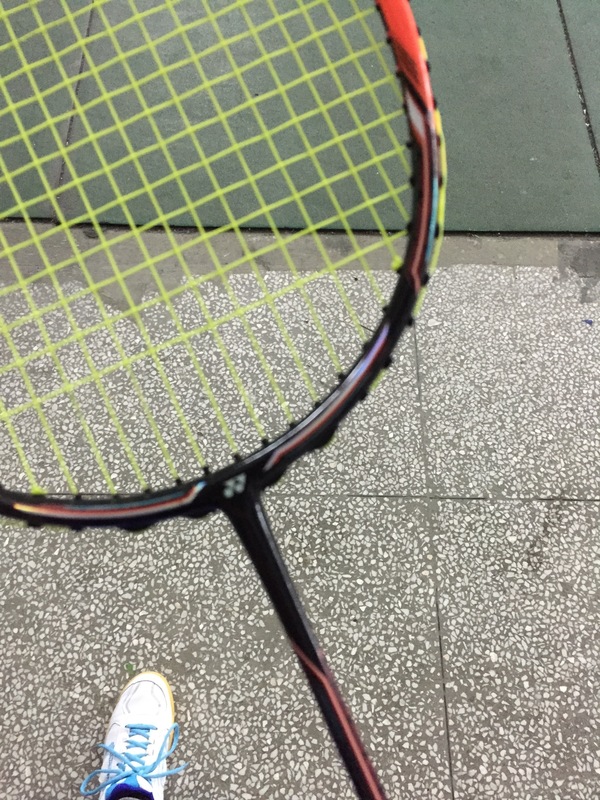 I broke my beloved beautiful racket in the middle of a game. Luckily my friends have extra and a guy lent me one. In 10 months I have almost never even touched another persons racket. They are like Harry Potter wands, unique and special to each person. But I’m a total newbie and trying new rackets, with different strings, tensions, and weights, is a good thing for me. I got to try out a racket with string tension of 26. Keep in mind my racket was 22. So that’s a big difference and I felt it in my game play. Something felt a bit off. 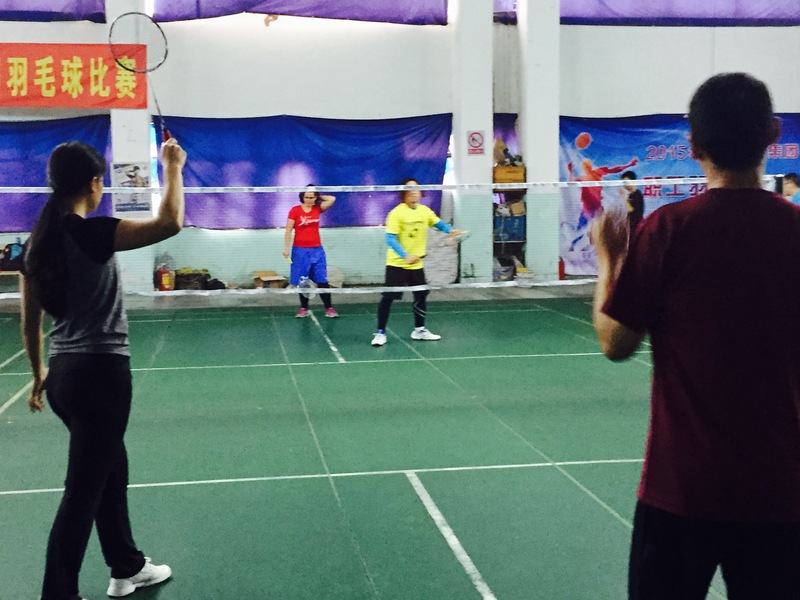 Wednesday night, still racket less, my teacher brought an extra. He sells rackets and he brought two for me to try. One was light and balanced. The other was heaver with a heavier handle. I immediately gravitated towards the heavier one because while they can add strain to your wrist it adds power to your attack. “Yeah, I do!” I said a little surprised. Although I shouldn’t be. He knows my style of game play and knows I attack whenever I get the opportunity. We had a good class, and played a few games together after with other people and he said that I was improving. Anyway, for Thursday’s game play I was yet AGAIN without a racket. One of my friends said he was bringing an extra racket, but he was late. We have a few rackets in a locker at the badminton place, so I just grabbed one. It was the same racket I had used the first few months of playing badminton. But it was terrrrribllleee! As an ultimate beginner I didn’t know any better, but now I do. I couldn’t even use it and asked my opponent if he had a racket I could use. He handed me his. “But what about you?” I said. “I have another,” he said. he grabbed his other racket. I asked him what the tension was on the racket I was using. “26,” he said. Then he showed me the racket in his hand. I noticed it was a Yonex, the top brand. “This one is 28lb,” he said handing it to me. “This one is nice,” I said looking it over, hitting the strings. My phone wouldn’t focus o the slim racket handle, but this was the racket I used on thursday. Almost $200!! “Don’t move your hand too much, let the tension of the racket hit the birdie over.” He was right. With the high tension if I added a little wrist power, the birdie would fly much higher or further than I intended. I accidentally got a lot of shots out that day. I don’t know why I didn’t like 26 but really liked 28. Maybe the rackets had something to do with it as well. Maybe he only intended for me to use it for one game, but I ended up using it the whole day and really liked it. “How much does a racket like this cost?” I finally asked him. “1,100rmb,” he said. Almost $200. “Wah!” I said holding it out in front of me. “Now I’m nervous!” Can you imagine if I broke that one too?! Luckily I made it throughout the day without adding a scratch. So I still haven’t quite settled on a racket but I appreciate this opportunity to try new ones, especially one of the really nice ones. I heard someone say on a video that “you don’t choose a racket, it chooses you,” and only through trying a variety of rackets will you know what you really like. I know spending $200 on a racket isn’t worth it yet. It won’t help me improve that much yet, but someday I think it will and I’ll look forward to getting one. I think Akuma’s racket chose me one time so I guess it’s time for me to invest this money on a good racket now.